Drivers spent more on petrol during the autumn than they had for four years, according to the latest data from the AA. During the period, falling wholesale fuel prices drove petrol costs down by 11.5p a litre, which led to the major pick-up as fleet and other drivers were able to use more fuel at lower cost. The latest AA Fuel Price Report also found that during the period from January to November 2018 the retail trade lost 179 million litres, which was the equivalent of 3.9 days of sales. The middle week of January saw fuel prices fall below 120p a litre for the first time since March, while diesel returned to the levels last seen in May. In the case of petrol, this contrasted with a price of £131.58p in mid-October, the highest seen all year. Diesel peaked a little later in early November. The problem for drivers is that the wholesale cost of petrol has been rising again. Between Christmas and new year it increased from 30.3p a litre to 33.2p. 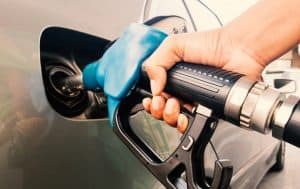 Motorists filling up at the pumps have witnessed varying levels of price, depending on how much these fluctuations have been passed on at the forecourt. However, what is most notable is the growing differential between supermarket forecourts and those owned by the fuel companies. A year ago the difference in the costs of a litre of petrol was 1.7p on average, but it is now 3.6p. An even bigger difference is geographical, where drivers filling up in one town may pay as much as 8p a litre more than their neighbours down the road. Keep track of your fuel costs with our Price Checker, and see how much your business can save with Fuelcard Services!